An estimated US$1 billion, net of retrocession and before tax, is what Swiss Re is looking at as its preliminary claims burden for the fourth quarter of 2018 due to natural catastrophes. Releasing its estimates this morning, the reinsurance giant said it expects US$375 million worth of claims from the Camp and Woolsey fires in California while a claims burden in the region of US$150 million is anticipated from Hurricane Michael. The natural catastrophes tab also includes smaller events such as the December 20 hailstorm in Sydney. 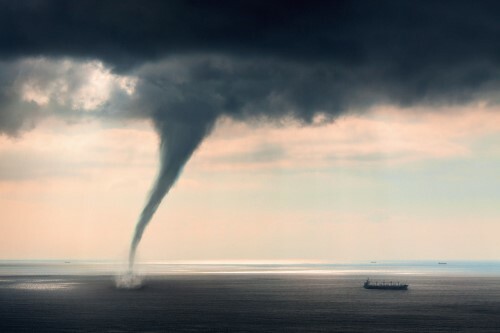 “The last quarter of 2018 was severely impacted by natural catastrophes,” commented Edouard Schmid, group chief underwriting officer at Swiss Re. “In the US, Hurricane Michael was the strongest storm to hit Florida since Hurricane Andrew in 1992 and, in California, wildfires caused great damage as they also spread to urban areas. Meanwhile Swiss Re’s claims approximation for Typhoons Jebi and Trami rose by US$320 million in the period. As for man-made disasters, the reinsurer has projected US$0.3 billion in claims for the fourth quarter. The events include a major satellite loss and a large industrial fire.